A jury has ruled that the town governments of Hildale, Utah, and Colorado City, Arizona violated federal law, discriminating against citizens who weren’t members of a polygamous sect of the Church of Jesus Christ of Latter-Day Saints. The U.S. Department of Justice says the towns denied water, police services, and housing to non-believers. As the Phoenix New Times reports, Jeffs’ arrest didn’t end the FLDS’ control over the towns. 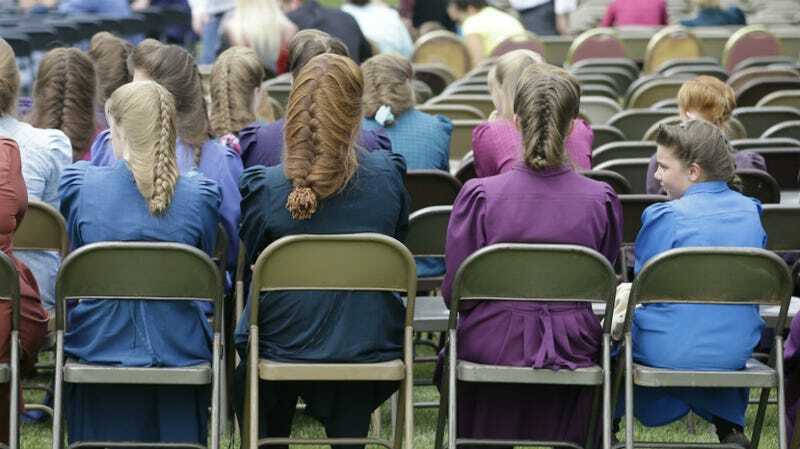 (New Times has done fascinating work for more than a decade on the FLDS.) The local police forces are said to act as an “enforcement arm” for the FLDS, and a church trust called the United Effort Plan owns virtually all of the real estate. In 2012, the DOJ sued both towns, as well as the water and power authorities that services them (Twin City Power and Twin City Water Authority), accusing them of violating federal non-discrimination laws as well as the Fair Housing Act. Keveney also cited letters written by town employees to Jeffs while the church leader was a fugitive. In one letter, Colorado City’s mayor asked for Jeffs’ opinion on whom to hire as a new police chief, he said. The Justice Department lawyer also claimed the Colorado City Marshal’s Office ignored widespread food-stamp fraud and male church members who married underage girls. In a separate case, several church leaders have been indicted on charges of food-stamp fraud. Matura, however, noted that Jeffs has been kept in solitary confinement since 2006 and there were no recordings, letters or other evidence that he was directing town affairs from behind bars. After a seven-week trial, a jury ruled Monday that the towns were indeed guilty of discrimination. A judge now has to figure out how to get the town governments to follow the law; the Associated Press says a likely first step will be to disband the Colorado City Marshal’s Office, the city’s police force, which one source told the New Times continued to “abuse its power” even as the lawsuit was underway.